Coaches of children’s sports teams bear the responsibility of informing their players of the dangers they face and the means by which to adequately protect themselves from these hazards. When a coach negligently fails to provide team members with the necessary protective equipment or information, children may suffer serious injuries as a result. 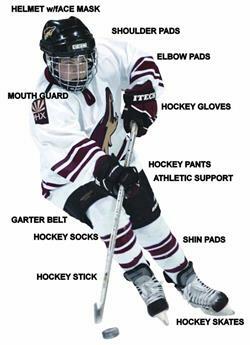 If your child has been injured because a supervisor or coach did not distribute the protective gear necessary to safeguard the players, you may be entitled to damages in compensation for your child’s injuries. Contact child-injury and lack-of-protective-sports-gear lawyer Jeffrey Killino at 877-875-2927 for additional information regarding your legal options. We all know that sports can be dangerous. Participants risk suffering injuries from impact, negligent behavior, poor or malfunctioning equipment, or other dangers inherent to the sport itself. The use of personal protective equipment, however, can safeguard players from injuries posed by many of these risks. The lack of mouth guards contributes to a significant number of children’s sports injuries. The American Academy of Pediatrics (AAP) recommends that coaches require children to wear mouth guards while playing any contact or collision sport. According to the American Dental Association (ADA), a child or other athlete is 60 times more likely to sustain dental injuries during sports activities engaged in while not a wearing mouth guard. Children’s sports injuries that are increased or caused by a lack of protective sports gear or the use of improper or inadequate protective gear may result from someone’s negligence or a defective product. The National Operating Committee on Standards for Athletic Equipment (NOCSAE) provides standards and certification for athletic equipment, including protective sports gear. When schools or coaches fail to meet the standards recommended by the NOCSAE in their purchase and use of protective sports gear, the gear may be less than adequate to protect children athletes from injury. Defects often exist in protective sports gear, as well, including gear that has passed standards and certifications tests, as the testing of these products may not always provide accurate results. The determination of the existence of a product defect thus requires the consideration of other factors in addition to a product’s apparent compliance with industry standards. Protective sports gear may be defective in a number of ways. Examples include helmets with straps that come undone at impact, helmets with insufficient padding, and mouth guards that are poorly designed so as not to properly fit. If a child is injured while using protective sports gear and a defect in the gear’s manufacture or design is determined to have been a cause of the child’s injuries, the manufacturer of the protective sports gear and anyone in the chain of the product’s distribution may be held liable in a product-liability action for the injuries suffered. Protective sports gear may also be found to be defective as a result of a failure to warn of dangers associated with the improper use of the equipment or a failure to provide adequate instructions regarding the gear’s safe and proper use. A child may suffer injuries in sports activities as a result of a lack of protective sports gear or the provision of inadequate protective gear by a school or coach. If a school or coach fails to take proper precautions in the purchase and provision of protective gear to student athletes and a child is injured in a sports-related incident while wearing such gear, the school and/or coach may be found liable in an action for negligence for the child’s resulting injuries. Participants in sports activities, including child participants, may be found in some cases to have assumed the risk of certain injuries that may occur while participating in a particular sport. In other words, certain risks that are natural to a particular sport, such as the risk of being hit by a baseball or the risk of falling while playing basketball, are generally considered to be risks of injury assumed by anyone playing such a sport. Defendants in negligence actions for such sports-related injuries may, therefore, raise the plaintiff’s assumption of the risk of such injuries as a defense. The assumption of risk from sports injuries generally does not include the risk of injuries caused by engaging in a sport with no or inadequate sports gear, however. If your child was injured in a sports accident due to the lack of adequate sports gear protection, contact child-injury lawyer Jeffrey Killino at 877-875-2927 for knowledgeable and experienced assistance with your case.